Just recently, an incredibly dedicated group of women introduced me to Helen Keller International,a 95-year old nonprofit founded by the legendary Helen Keller. 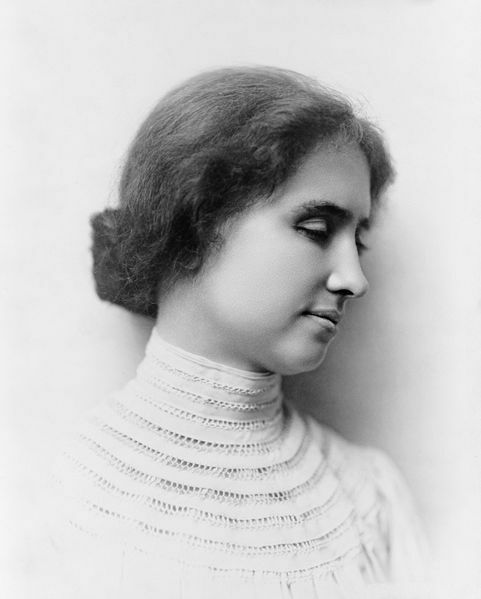 On May 17th, the 5th Annual Spirit of Helen Keller Gala will be held in New York. In connection with the Gala, my friends from HKI are deeply committed to raising $1 million dollars for HKI’s programs, which prevent blindness and reduce malnutrition worldwide. Unfortunately, corporate sponsorship remains weak, which means that HKI must increasingly rely on private and individual support. Please consider supporting this wonderful organization.By way of background, HKI currently works in 22 countries, including Africa, Asia Pacific and the US. HKI’s model — partnering with local non-governmental organizations and governments to introduce interventions that save life and preserve sight — is technically proven and unbelievably cost-effective. In light of recent abuses highlighted by the New York Times in the micro-lending world, HKI’s model and work continues to command tremendous respect and support around the world. The Benefit Committee at HKI is determined to continue building upon this organization’s great strength so that it can operate in more villages and reach even more children and adults. Simple donations also go far at HKI: for $2/year, a child can be given the two Vitamin A capsules that give her enough fortification to ward off blindness and hold onto life. For $9, village community gardens can give mothers to a way to provide not only essential nutrients for their families, but also produce to sell in the market. I am incredibly inspired by HKI and its ability to impact lives in truly meaningful ways. As a direct result of this organization’s great work, children will live and people’s eyesight will be saved. Please give, support and pay tribute to the great work of HKI! Previous Post Bethany McClean – on the GS Hearings and more..